The courses are designed for novice guides entering the industry as well as working guides who’d like to prepare for their APA River Guide assessment and Trip Leader qualification. The aim of the course is to give you the knowledge to work as part of a guide team and as a Trip Leader. The main focus is on basic swiftwater and rescue and covers all of the basic skills a river guide needs including group management and dealing with emergencies. The course runs over three days and two nights – there are practical exercises during the day and lectures and discussions in the evenings. The course is extremely practical and physical in nature and a reasonable level of fitness is required. The course is also ideal for anyone wanting to learn more about paddling and swiftwater safety and rescue, even if they don’t intend to work as a guide. The course fee includes instruction, food and camping fees & APA checklists and course materials. Boating equipment and transport to the course are the candidate’s own responsibility. Boating equipment can be hired for the course if necessary. Contact us if you do not have any means of arranging transport. The courses are nationally recognised by the APA(African Paddling Association), and prepares candidates to take the APA River Guide assessment, which is held separately and at a later date. 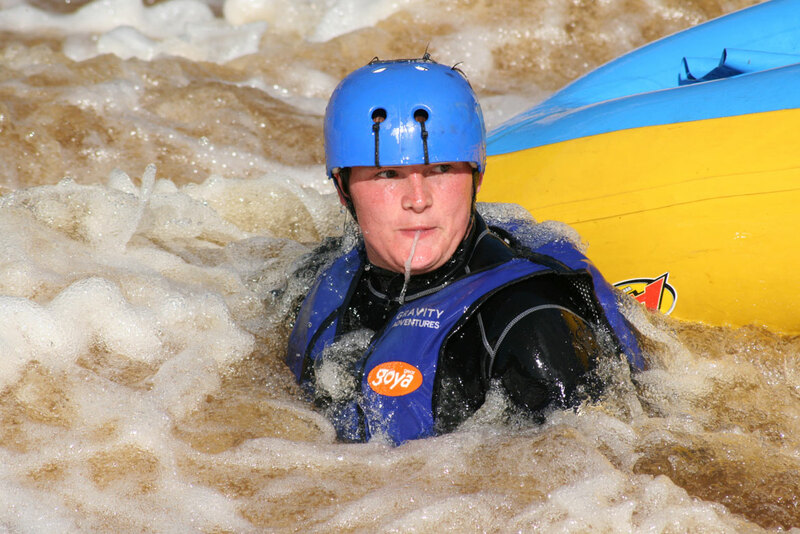 Andrew Kellett of PaddleZone is also an accredited International Rafting Federation (IRF) instructor and assessor so if you do your assessment with him, you will hold an internationally recognised qualification. Refresher candidates are very welcome (i.e. they are accompanying the course to refresh their skills or to keep their APA qualification valid). There is no cost beyond the logistics fee. The courses are run on the Palmiet River near Kleinmond, The Orange River Gorges as well as various locations around South Africa. All catering will be provided. We will provide instructors and training materials. PaddleZone Training Division is headed up by Andrew and Marie-Louise Kellett, both pioneers of swiftwater guide training in South Africa. Andrew’s training expertise is also in demand internationally and he has trained and assessed guides in Namibia, Zambia (Zamebezi), Mozambique, Malawi and Iceland. He is the only instructor and assessor in the country qualified for swiftwater (rivers) flatwater (lakes and estuaries) and ocean guide training. In addition to Andrew, we have a number of skilled and experienced instructors which enable us to run courses for larger groups. All of our instructors are highly experienced river guides with international experience so they know the industry inside out. In addition to training, we also own Gravity Adventures – one of the country’s most respected paddling operators. This allows us to keep in touch with what is happening in the industry and ensures that our training is always relevant and up to date. What is the African Paddling Association (APA)? The APA is the industry representative body for the commercial paddling industry. Its main role is to set standards for and administer guide training and assessments. Please refer to the Swiftwater Guide Qualification Structure for details on how you can progress from a trainee right up to Trip Leader level. 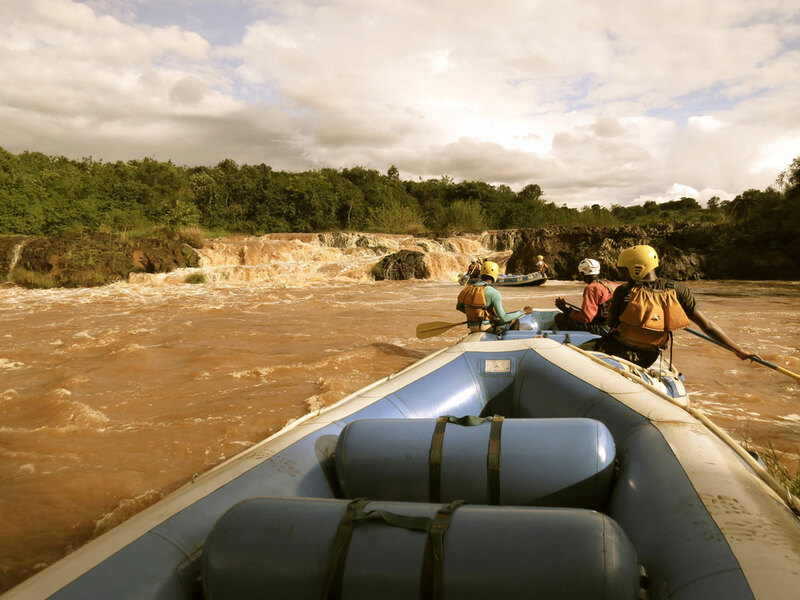 What is the International Rafting Federation? The IRF is an international federation of members who oversee the sport of rafting on a global scale. They oversee an internationally recognised scheme for guide training and certification. APA is a founder member of the IRF but only IRF accredited instructors and assessors can offer IRF approved training and assessments. What is the South African Maritime Safety Association (SAMSA)? SAMSA has been mandated by government to be responsible for safety on all of SA’s waterways, including the sea, rivers, lakes etc. In the case of any serious incident or fatality, they will be the body in charge of the enquiry. SAMSA recognises the APA qualifications through Marine Notice 28 of 2011. The APA qualification is the only one recognised by SAMSA. What is the National Qualification Framework? The NQF is the overarching education and training system set up by government. Within the tourist industry, it is a legal requirement that anyone acting as a tourist guide must have completed an NQF assessment that is approved by CATTHSETA – the authority in charge of tourism. The APA qualification is recognised as part of the Adventure Site Guide qualification, approved by CATHHSETA. We offer NQF assessments for all paddling guides and can advise you of the best route to achieve legal status. Yes, we are Operating Members of APA and our instructors are APA members, trained, qualified and experienced. Yes we do, we were the first operator to become compliant with the law. The course fees include instruction, food and camping fees & APA checklists and course materials. Boating equipment and transport to the course are the candidate’s own responsibility. Boating equipment can be hired at R300.00 for the course. Before the course, will circulate the course list and contact numbers of the trainees can arrange transport between themselves. Our base camp is a small grassed campsite on the river banks. There are no ablutions so this site is used for smaller groups. Larger groups will be based at the municipal campsite in nearby Kleinmond. Boat (croc or kayak), helmet, PFD, paddle, splashy etc. This is a very practical course so you do need to be reasonably fit and active. Ideally, you should be able to swim or at least be comfortable in the water. I have not done much paddling – can I still do the course? You will progress more quickly if you have done at least some paddling before. The best is contact one of the river companies and arrange to go along on a trip as an unpaid assistant. This will give you a good idea of what the job of a river guide is like and also give you some basic paddling experience. If you don’t have any paddling experience at all, you are still able to do the course; your learning curve will just be a bit slower. There is an inherent element of risk in every adventure, especially when learning new skills. 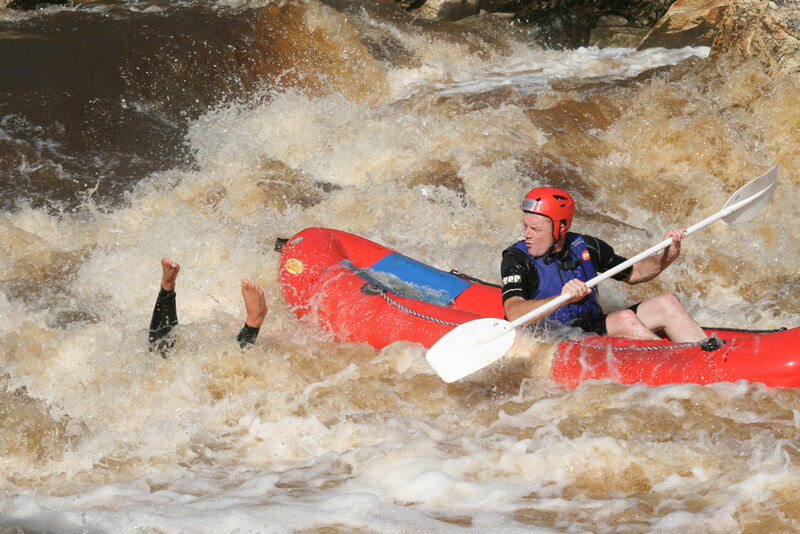 Having said that, running rivers with our professional instructors should not be considered dangerous. The whole focus of the APA river guide course is on prevention of incidents. Our instructors are all trained in First Aid and we carry a First Aid kit. It is your responsibility to inform the instructors about any allergies or medical conditions you may have and to make sure you have any personal medication with you (e.g. asthma pumps, allergy medication etc.). Plan for cold, wet weather and pack for the outdoors. Simple, freshly made and sufficient. Trainees will be involved in preparing and serving meals and will learn valuable campcraft skills along the way. A Trainee to Instructor ratio of 1:8 have been set to ensure safety and individual attention. You will need to complete and hand in a booking form as well as pay a R500.00 deposit into the following account: PaddleZone, Standard Bank, Kromboom branch: 026209, account number 272145459. Your booking is NOT confirmed until we have received both completed the form and payment. Please make sure to reference your deposit with your name. If you are paying in cash please DO NOT use the bank account but make arrangements to pay us directly.